The prediction of snow deposition caused by crosswinds plays an important role in infrastructure planning (snow fences and trees) and in infrastructure maintenance (efficient plowing strategies). Complex physical simulations are based on numerically solved differential equation systems for millions of virtual spatial cells. 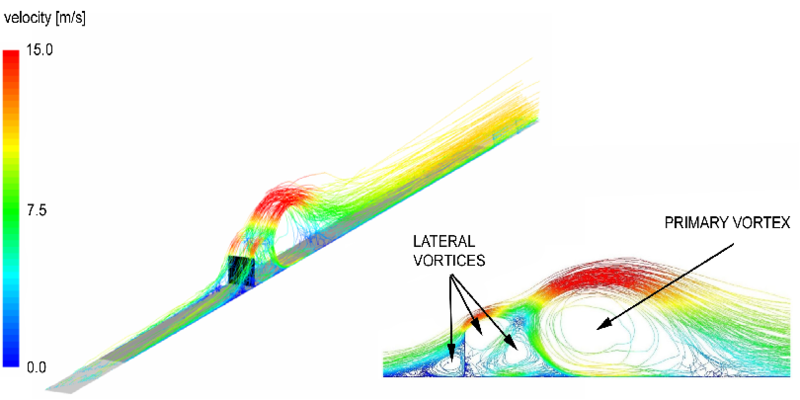 Computational Fluid Dynamics (CFD) need high efforts of hardware and simulation time. 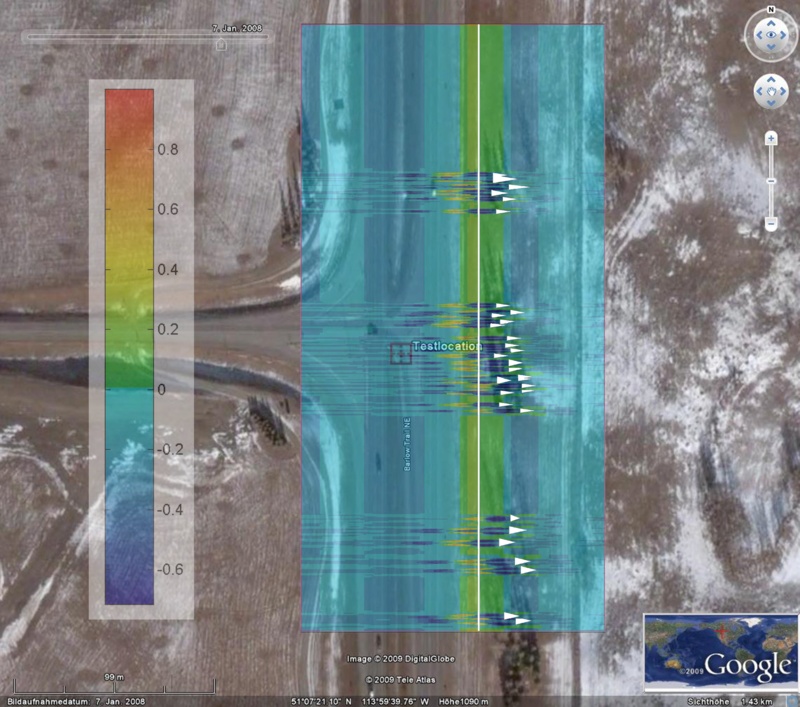 Although the results usally show high quality near realtime calculation of CFD models is still not possible. The results of different simulation scenarios have been stored in a data base and used as a knowledge base for the calibration of a nonlinear prediction model. Artificial neural networks have been used to model nonlinear system dynamics. 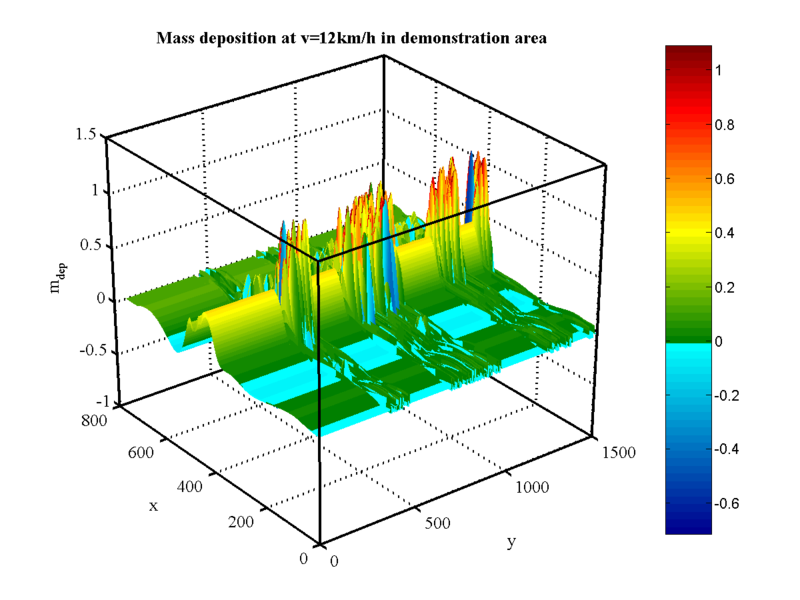 The CFD simulation data has been visualized, analyzed, coded and reduced (ALEV method). It is also possibile to extend the model in conjunction with topographic information and real weather data. The model can be implemented in information systems for planning and maintaining infrastructure, but also for applications of virutal reality (e.g. simulated winter landscapes under environmental influence). If you want to know more about the possibilities for connecting weather models and real time data, GIS-Systems (e.g. Google Earth overlays, topographic surface maps), simulations and virtual worlds please contact us here. IDASS is a co-project of flowdynamics and TopLab.